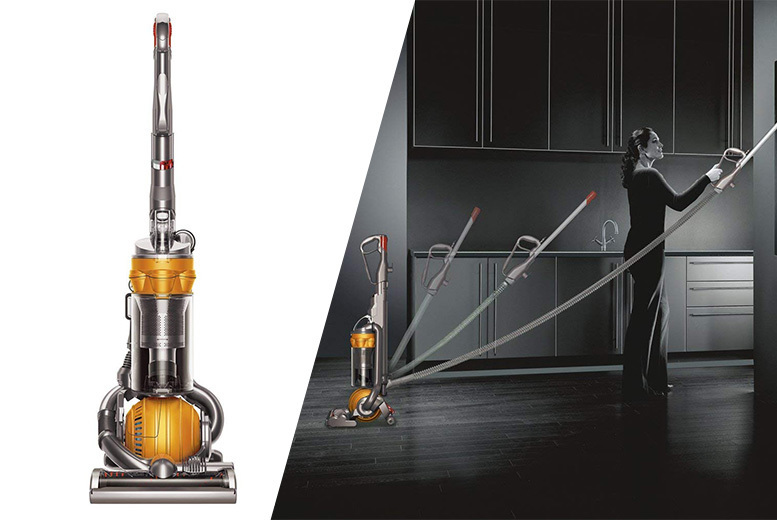 £106 (from Mr Vacuum Ltd) for a refurbished Dyson DC25 multi-floor upright vacuum cleaner! Get a powerful Dyson DC25 multi-floor upright vacuum cleaner. With patented ball technology replacing fixed wheels for greater manoeuvrability. Dyson Root Cyclone™ technology for awesome suction. Motorised brush bar to remove pet hairs! 16ft quick-draw telescope reach wand for stairs and hard-to-reach areas. Lightweight and bagless for convenient, hassle-free cleaning!